1. Check our hours. If the weather is iffy, call first before setting out to make sure we are plowed and open - winter weather can be very different up here in the Cobequids. We change the phone message as conditions change. 2. Check out our Sugar Season FAQ's HERE for answers to a whole lot of frequently asked questions. 3. Dress for winter. Treat this like a romp in the outdoors. We have very little indoor waiting space. We're usually snowier than anywhere else in Nova Scotia; make sure your family dresses for snow, cold + outdoor activities (mitts, hats, snow pants, snow boots, extra socks) and your visit will be much more fun! 4. Bring cash. Although we take Visa, MC and Debit as well in the restaurant, it helps to have toonies for sugar on snow and some cash for the tours or snacks. As well, as a small business we very much appreciate cash or Debit rather than Visa or MC because of the excessively high fees we have to pay for using those cards. 5. Drop off elderly guests at the front door if needed. You can drive up and drop someone off if necessary, and then go park. 6. Check in with the host when you arrive before you do anything else (if you want to eat in the restaurant). They're usually right in front of the building with a clipboard. We don't take reservations (except with our Maple Magic package). Put your name on the list for a table in the dining room, and then take off and explore! 7. Expect a wait for a table in the restaurant. On a nice weekend day or holiday in Sugar Season, there can be a wait to get into the restaurant. Have a tour, go for a hike! Or plan on coming right at opening (10 am) or after 2 pm to avoid our busiest times. 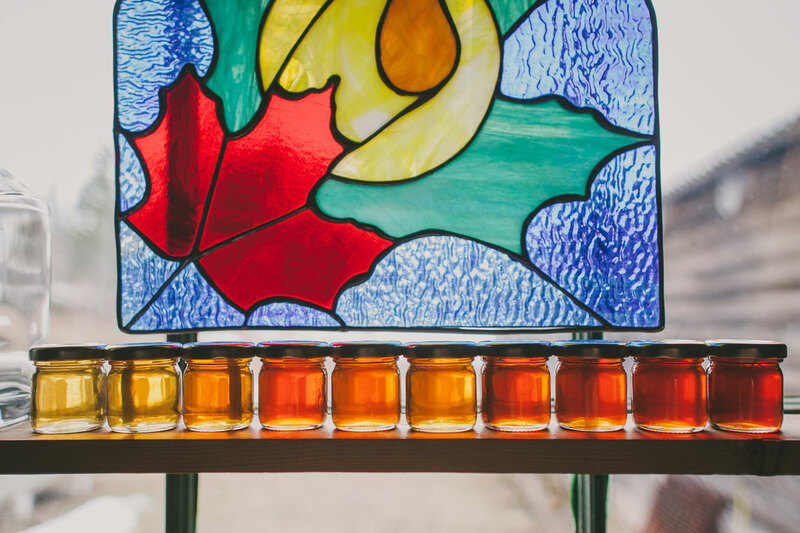 As well, you could consider booking our Maple Magic package because you'd get reservations. Check it out - it's a prepaid, reserved, all-inclusive experience available at 9 am Sat and Sun and 10 am on Fridays. 8. Sign up for a Sugar Camp tour. They happen all day, on the hour, beginning at 10 am. $5/adults, $3/6-12 yrs, preschoolers free. Sign up with the host or at The Shack. 9. Try some sugar on snow. $2/stick at regular intervals throughout the day, right in front of the building. You can pay at the Shack. 10. Go for a woods hike or snowshoe. You don't want to miss this part of your experience. We rent snowshoes at the Shack. Ask Shack staff about the great trails. Check trail conditions here. Scott, Quita, Samara + staff look forward to having you up here!